Peach Gum or Peach Resin helps to relieve stress, nourishes the skin and prevents wrinkles. 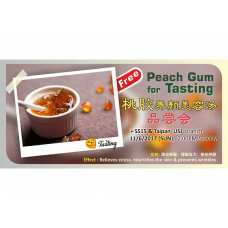 Come join us this Sunday for our Peach Gum tasting event at our USJ store! Fish bone is good for strengthening our nerves and bones. 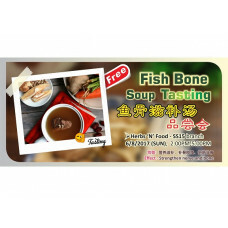 Come and join us this Sunday for our Fish Bone Soup Tasting event at SS15 store! 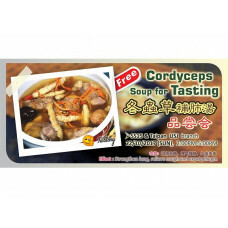 Cordyceps helps to strengthen the lungs, it is also effective in relieving cough and phlegm. 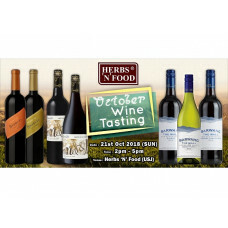 Come and join us this Sunday for our Cordyceps Soup tasting event at SS15 and USJ store! 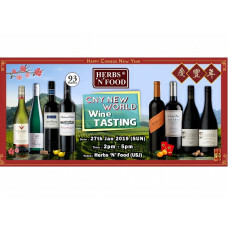 Due to overwhelming request for another wine tasting before CNY we will be conducting 1 last tasting before CNY! 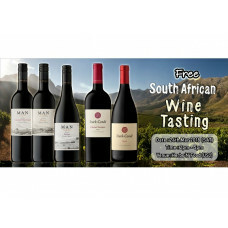 Don’t miss the opportunity to taste and purchase these awesome New World Wines!